Chamber History - Guyra Chamber - Guyra welcomes you, Accommodation, Restaurants, Events, Business Directory, Community Directory. The Guyra and District Chamber of Commerce evolved out of previous business organisations that operated in Guyra over a number of years. 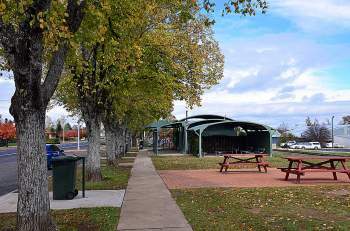 The Guyra Commerce Association was developed and operated during the 1980’s. 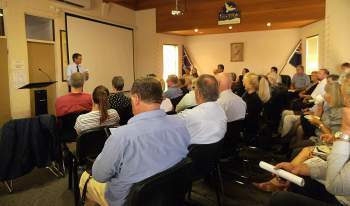 The Guyra Business Connection group developed and progressed during the 1990’s and early 2000’s. Out of this group the Guyra Tourism & Commerce Assoc. Inc. was established in 2007 and operated until 2011 as a voluntary organisation actively working towards the continued growth of Guyra through support of small businesses and tourism activities. On 29 March, 2011 the decision was taken to become the Guyra and District Chamber of Commerce. The Guyra and District Chamber of Commerce is an Alliance Partner of the NSW Business Chamber. Guyra Chamber representatives work closely with NSW Business Chamber and Local Government to grow the formidable relationships and initiatives which will help Guyra prosper. In 2015, our Chamber’s president, Aileen MacDonald was appointed to the NSW Business Chamber New England North West Regional Advisory Council. This is a panel of 16 business people and Local Chambers of Commerce from around the New England North West. NSW Business Chamber is working to unify the chamber movement in Australia and strengthen the voice of business. Members of Guyra Chamber of Commerce, upon renewing their membership, are opted in at no cost as members of NSW Business Chamber under the Local Chamber Alliance Program. This Program entitles members to additional services at no cost. The Guyra Chamber has been actively involved in participating in the Small Business Friendly Council Program which is delivered by the Office of Small Business Commissioner. Ultimately the purpose of this program is to focus on the needs of the local business community and draw upon consultation and feedback from members to help reduce red tape which inhibits local businesses reaching their maximum potential.